Skype is bringing free Wi-Fi hotspots to stores, cafes and restaurants across the UK and Ireland after hooking up with wireless provider Wicoms. Users will be able to access the hotspots through the existing Skype Wi-Fi app and will be able to sign in using their Skype ID without paying for access as they may have to when using Skype Wi-Fi at airports. Businesses will have to pay to offer the connectivity at a flat rate of £9.99 a month, along with the cost of a £49 Wi-Fi router. Companies signing up in October will get a free month and a free router. Skype Wi-Fi will be powered by the established Wicoms wireless network with businesses able to register with immediate effect. 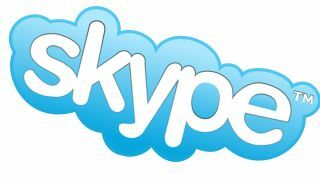 Shadi Mahassel, programme manager for Skype Access said: "Simplicity is at the heart of everything Skype does. We believe that internet access should be available to everyone in a simple and affordable way. "Our partnership with Wicoms enhances our ability to make Skype universally accessible and expands on our WiFi strategy, which today provides paid WiFi access at over one million locations worldwide." Wicoms says the accord will help physical shops to compete with their online counterparts by engaging with customers through their smartphones. Owen Geddes, MD of Wicoms said: "We're helping brick and mortar retailers effectively compete with online retailers. "By working with a globally trusted partner like Skype to provide Free Skype Wi-Fi on-premise, business owners and high street retailers can open a dialogue with potential customers and encourage sales conversion with the power of the mobile phone."